Simon P. Quedens joined LALIVE as an associate in 2015. His main areas of practice are banking and finance, corporate and commercial law, domestic and international litigation and white-collar crime. 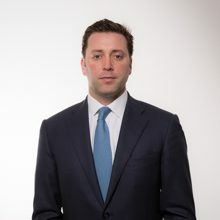 Before joining LALIVE, Simon P. Quedens worked as a foreign intern in the legal department of UBS Deutschland AG in Frankfurt (2014), and in the finance practice group of Freshfields Bruckhaus Deringer LLP also in Frankfurt (2014). He previously worked at Budin & Partners in Geneva, first as trainee (2009-2011) and then as an associate attorney (2012-2013), after gaining experience as a legal intern at the Office of the Federal Investigating Magistrates of Switzerland (2008-2009). Simon P. Quedens holds an LL.M. Finance (2015) from the Institute for Law and Finance (Goethe-Universität, Frankfurt am Main) and graduated from the University of Fribourg (Switzerland) with a Master of Laws (2009) and a Bachelor of Laws (2007). Poznan, Poland 18/05/2018 Simon P. Quedens Speaker: How to Choose the Right Incoterm?